Toshiba C50D 15.6" Home Use Laptop AMD E1-6010 Dual Core 8GB RAM 500 GB HDD. Toshiba C50 is an ideal laptop for all those who want a sleek and light laptop for their daily use. This affordable laptop is capable of performing all your daily tasks including e mailing, web browsing, social networking and much more efficiently. Its 15.6-inch wide HD display delivers crystal clear images and visuals. This slim and light laptop has a design which makes it look ultra-modern. Having an elegant textured finish it has a modern feel. It features Toshibas high quality design which makes you look smart while working. Toshiba C50D is designed in such a way that it offers you more ease. 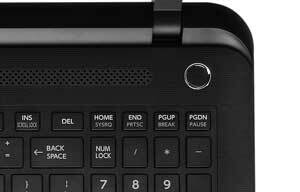 It comes featuring a keyboard with numeric keypad that makes you work on applications like spreadsheets much easier. So increase your productivity with this amazing laptop. With the option of Intel or AMD processors it gives uncompromised performance in everything. A spacious HDD of up to 1TB combined with powerful processors offer more responsiveness and let you enjoy smooth multitasking. Enjoy clear and enhanced audio with the built in speakers of C50 which are combined with DTS Sound audio. From deep bass to dialogues, you enjoy everything in more detail. By delivering high frequency it lets you have a premium sound experience through speakers or headphones. 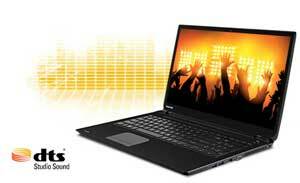 Watching movies or playing games is more fun with Toshiba C50. Do more with Windows 8.1. It lets you increase your efficiency and productivity by keeping all important things on start screen so less time sis spent in searching. 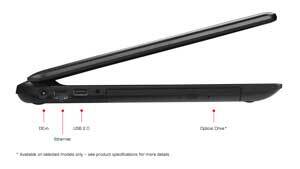 The fast and intuitive design of Windows 8.1 goes perfect with Toshiba laptops. 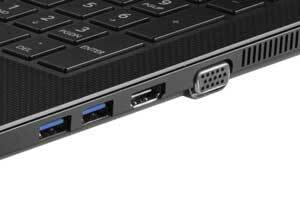 Enjoy fast data transfer and make your data more portable with USB 3.0. It gives you ten times faster data transfer rate than previous generations of USBs. Files and folders which took hours in transferring can easily be transferred in few minutes now. Enjoy your media as it deserves to be watched with Toshiba C50. 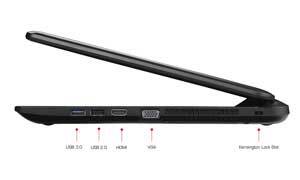 It features an integrated HDMI port which lets you connect your laptop to various large display units like big screen monitors or projectors for better viewing of your media. Featuring an HD web camera it lets you take clear pictures while combined with microphone and speakers it lets you make video calls with your friends and family. Communication is made easier as you can easily stay in touch with friends and family just from the comfort of home.